Last month, a Turkish ministry began a probe to investigate whether or not Minecraft should be banned for being "too violent." Today, the results of the investigation were announced: Minecraft should be banned. 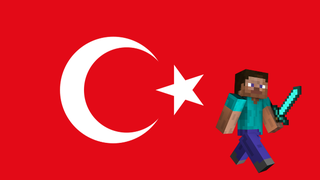 Önder Kaplan from the Chamber of Internet Cafes in Ankara told local newspaper Habertürk, "There is not a single country that has banned Minecraft." There's a reason for that, you know. It's that this is silly.